Yesterday, after a very toxic day at work, I ran somewhere. I met up with a friend and we had a bowl of ramen for dinner. Because I was pretty much not myself anymore, I managed to spill a lot of sesame seeds in my ramen. Imagine what my tonkotsu ramen tasted like! It wasn’t very bad but it was definitely crunchy. Afterwards, we each bought a scoop of ice cream and walked around the streets talking about random things. I told my friend, “This is possible, huh? Take a break in the middle of the week and let some steam out?”. She nodded and replied with a smile. …San Agustin Church has a very dramatic altar. I’ve passed this church several times but it was only yesterday that I sat inside the church for awhile and absorbed its altar’s beauty. 12 years in Metro Manila yet I found myself stepping on this church for the first time. Saturated with light, people, colors, noise and music. That is life. This post is my entry to Daily Post’s Weekly Photo Challenge with the theme Saturated. Ube (yam) and keso (cheese) ice cream for dessert. For those who are not familiar with lechon, it is prepared by roasting a whole pig over charcoal. The pig is usually stuffed with several spices to give the meat some flavoring. 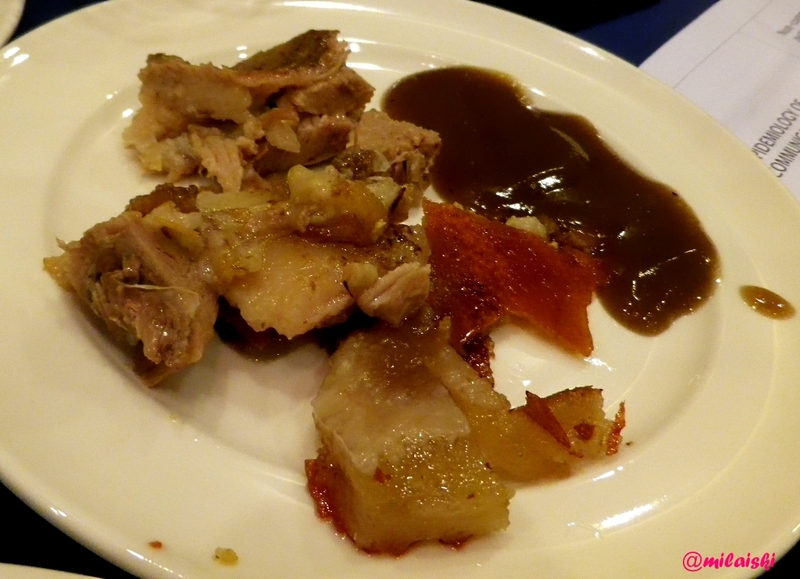 One can find lechon in almost all corners of the Philippines but the best ones are definitely in Cebu. The crispy skin is a must cry especially when it is still hot. 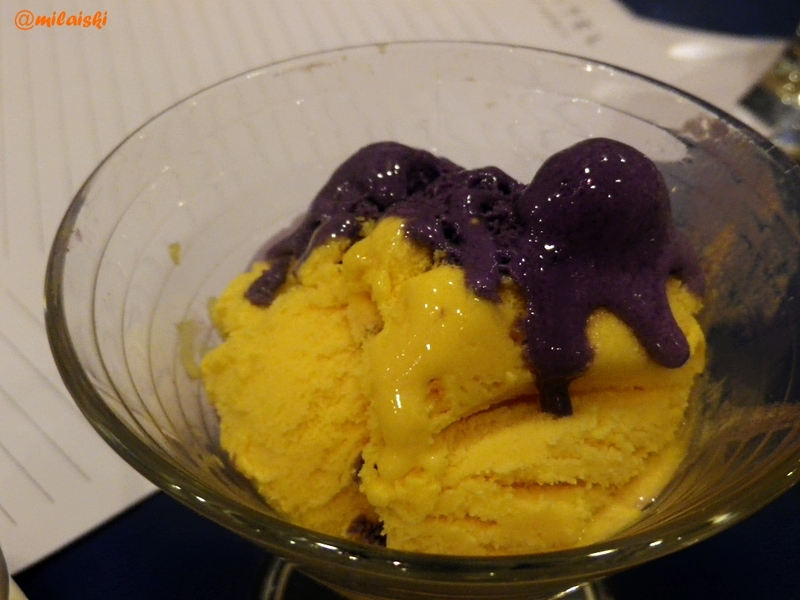 On the other hand, the ube and keso (yam and cheese) combination of ice cream is a favorite of Filipinos especially the kids. Branded ice cream are delicious but nothing will beat the experience of buying dirty ice cream from a street vendor and eating by the sidewalks under a hot scorching sun. Check out what others had for lunch at Daily Post. 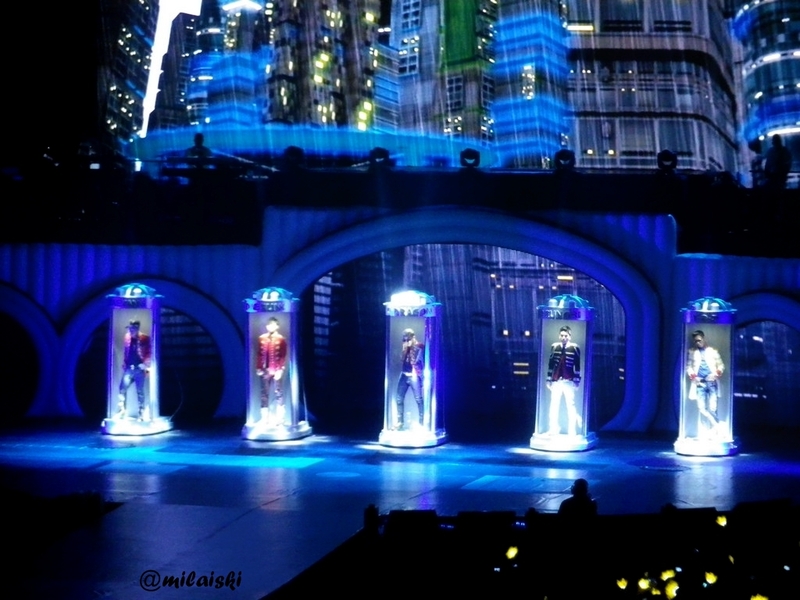 Big Bang during the opening song. 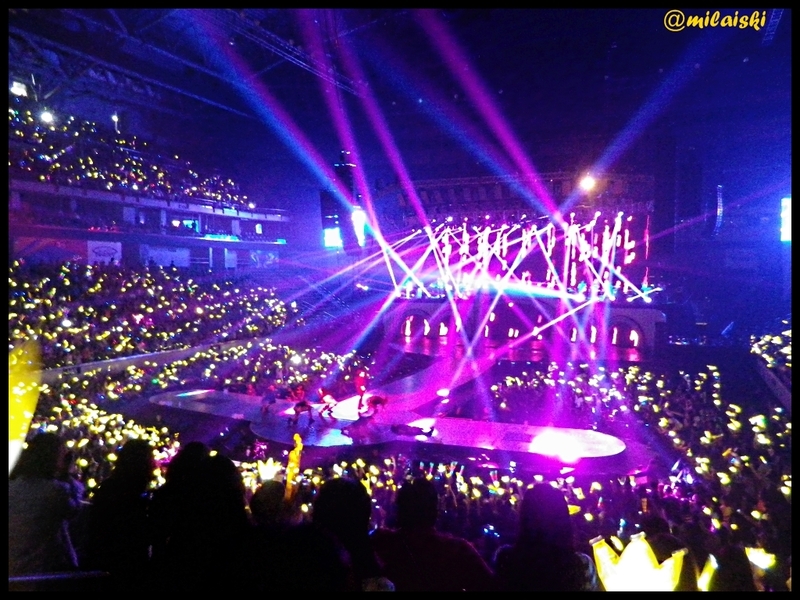 Earlier this year, YG Entertainment announced that Big Bang is going to have a world tour. When it was revealed that they will be coming to the Philippines, I literally jumped off my seat and promised myself I will be there when they hold their first concert in the country. So I and my friends, Me-an and Sheila, paid close attention as to when the tickets will be released and when it was finally up on sale, we were probably among the ones who bought tickets at the very hour tickets sales were opened. After almost two months of waiting, October 24 finally came and boy, I have nothing to say but: FANTASTIC BABY! Last weekend, I and my high school friends went to visit the MV Logos Hope. The ship has been in Manilafor almost a month now but I haven’t been able to visit earlier due to my whirlwind schedule. Thankfully, I have friends who share my idiosyncrasies so five of us marched excitedly to Pier 15 in Manila. My highschool buddies Nicole, Hubert, Cecille and Conney. The MV Logos Hope is at the background. It was my first time going to Pier 15 and it was also my first seeing big cargo and passenger ships up close. MV Logos Hope is just like any ordinary ship only that it is converted into a bookstore.